This time last week, three of the Editing Globally team had just left the annual conference of the Society for Editors and Proofreaders (SfEP), this time in St Neots, England. 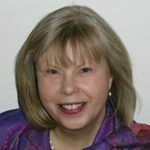 Katherine Trail, Kelly Lamb and I (Janet MacMillan) wended our way there – some of us travelling a very long way and one of us spending as long on three trains as the other two did on planes – to learn (and teach) why context is key. Our editing careers differ in length and subject fields and genres. It was Katherine’s third SfEP conference, and Kelly and Janet’s first (although Kelly and Janet have both been to other editing conferences). But we were all unanimous in our verdict: it was superb! Everyone was so friendly and open, it was so inclusive, everyone was clearly there to share their skills and learn new ones, or even just confirm they were on the right track, and, oh my, was the food ever good. We three arrived early evening before the conference officially started the next afternoon. What a great decision! We enjoyed a casual evening in the venue pub with a dozen or so other attendees, which we all found a delightful way to settle in and talk to people. The next morning, the three of us headed off for some pampering in the venue complex’s spa, which, given the intensity of the following 48+ hours, was a wise move. 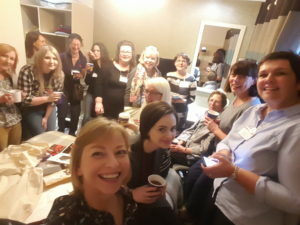 After the annual general meeting, which was so non-contentious that it was over in no time, there was an impromptu and very noisy tea party, though perhaps the noise level was related to the number of folks who packed into one rather small room. Even with the door and windows open one could tell it was a happy gathering. Kelly immortalized it for posterity. Spot the Editing Globally members! The dinner and pub-type quiz that evening were great fun. I’ll spare the blushes of the team I was on and not identify them. One might say that we weren’t exactly stars! Mind you, we did a bit better on the acronym and abbreviations round than the other rounds. I think that the preponderance of academic editors at the table is the explanation. Even though I don’t think any of the Editing Globally team closed the bar that night, we certainly enjoyed some great conviviality before retiring to our respective beds. Watch this space over the next week or so for blogs about the actual conference sessions, sessions that we all found so valuable.